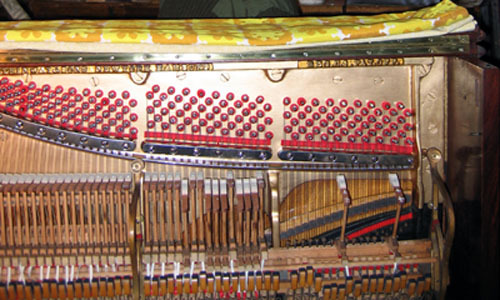 Moths always go for the most delectable felt – the felt only visible once the keys (and action) are removed: the back-touch and/or balance rail baizes. no wonder the touch was odd! 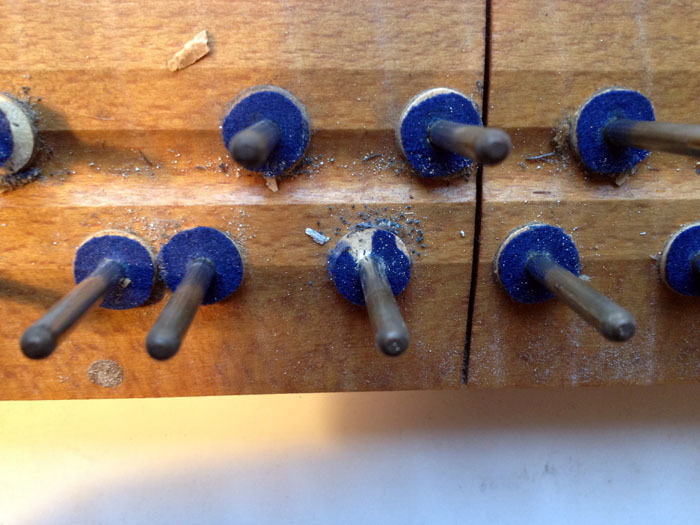 Almost all pianos I visit now have some sign of moth, even if they haven’t started munching felt yet. 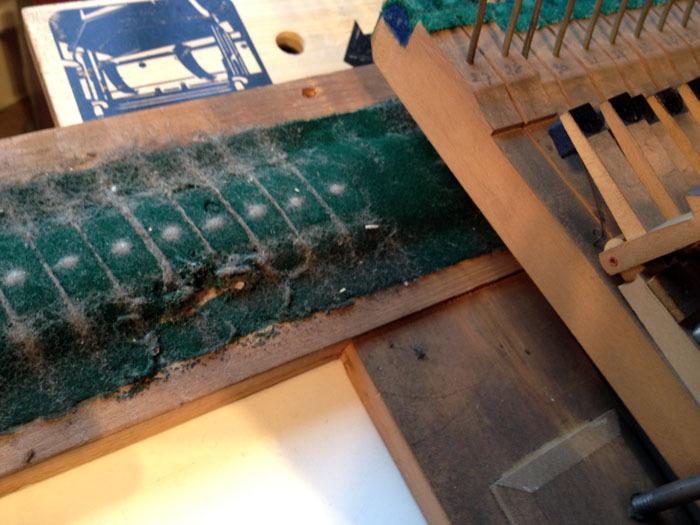 This entry was posted in Technical and tagged moth damage to piano felts. Bookmark the permalink.